Trucking companies across Florida share a common pain point: double-digit growth in insurance costs. In a perfect storm of more expensive vehicles, declining insurer competition and “nuclear verdicts,” some in the industry believe this is the new norm. Jacksonville-based Patriot Transportation (Nasdaq: PATI) is among those that have seen double-digit insurance costs growth in consecutive years. The company, which primarily carries fuel to gas stations across the Southeast, blames the rapidly rising costs on a Florida tort law that allows juries to award damages if a trucker is 1 percent negligent, versus states like Georgia that demand litigants prove a trucker is 50 percent negligent. In Florida, losses from insurance claims and settlements have become so onerous that major insurers are leaving the Sunshine State altogether. Major insurance carriers Zurich Insurance Group AG and American International Group Inc. have both reduced their offerings in Florida and elsewhere. The shrinking supply of insurers in Florida pushes costs up further. "They couldn't charge enough to make it make sense to be here," said McNulty. In light of Florida's low negligence standard, Patriot has joined efforts to lobby for tort reform, CEO Rob Sandlin said. 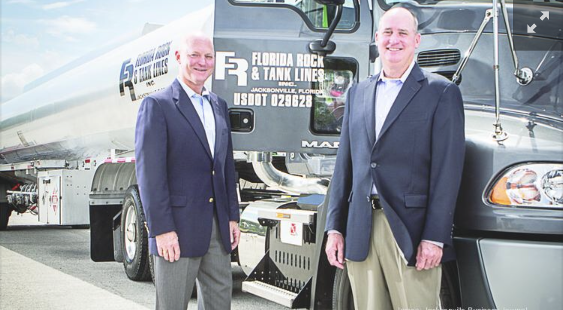 He noted that both the Florida Trucking Association and Florida Chamber of Commerce are lobbying to change the state's tort laws, and other businesses, like property owners liable for slip-and-fall claims, are as well. "There's more and more interest in change from Florida businesses," he said. 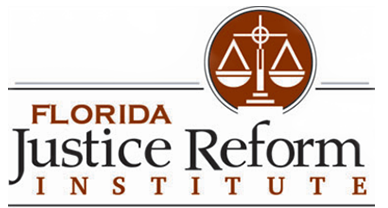 A 2018 Florida Justice Reform Institute report estimates Florida loses more than $11.8 billion and 126,000 jobs each year due to what it deems excessive litigation. The report further claims that Florida loses $615 million in annual state revenue and $516 million in annual local government revenues, according to data compiled by The Perryman Group. Much of those estimated losses, however, belong to the retail industry. The transportation and utilities sector is responsible for about 8 percent of the losses, $1.8 billion, and about 4 percent of the jobs lost, 5,280. Despite the tort law Patriot is pushing to change, Florida did not make the top 10 list of verdicts assembled by Carr Allison, a Southeastern law firm and national trial counsel for seven of the top 10 motor carriers, in 2016. Jacksonville-based Landstar System Inc. (Nasdaq: LSTR) made the list twice, though for verdicts in Georgia and California. In fact, a Carr Allison presentation slide singles out Landstar as proof that verdicts are escalating, noting the two previous verdicts as well as a $15 million verdict in Florida and a $19.5 million verdict in Arizona. But to Amy Wagner, vice president of risk management at fleet management company Ryder System Inc. (NYSE: R), high verdicts and tort laws are only part of the reason insurance costs are rising. Wagner believes consecutive double-digit insurance cost growth is here to stay. In the years leading up to 2008, insurance premiums were largely stagnant, Wagner explained. But since 2008, vehicles have become more expensive to repair or replace; more drivers are on the road; the proliferation of smart phones has been matched by the proliferation of distracted driving; and high employment has given truck drivers their choice of jobs, leading to higher turnover and with it, higher accident rates. To combat this confluence of factors, Ryder has turned to technology. Camera systems installed on the company's entire fleet of trucks in 2017 record and save the moments leading up to and immediately following traffic incidents. This allows the company to quickly either accept responsibility or dismiss fraudulent claims. The company has also installed adaptive cruise control, which automatically applies breaks to prevent rear-end collisions, and technology to prevent roll-overs. LED lights on Ryder trucks increase visibility and reduce driver fatigue. "We're taking a comprehensive approach to mitigating risk," said Wagner. Not all of Ryder's mitigation strategies are technological. It is also working to reduce driver turnover, since research suggests that drivers are more prone to accidents in their first 12 months on the job. But given a nationwide driver shortage, that is no easy task. More than 60,000 truck driver jobs went unfilled in 2018, according to the American Trucking Associations, with that deficit expected to reach 175,000 by 2026. The average age of truck drivers is 55, according to the Bureau of Transportation Statistics, putting many drivers within retirement age. To retain its drivers, Ryder pays well and recognizes excellence with driver of the month and driver of the year awards, Wagner said. It also has a "Captain of the Ship" policy that allows drivers who feel unsafe for any reason to call dispatch and get taken off of a route. So far, the efforts are paying dividends. "We do have lower than average turnover," said Wagner. Patriot, too, introduced a number of ways to attract and retain drivers last year, the company disclosed in its shareholder meeting in January. Despite boosting pay, the company still saw 68 percent driver turnover in 2018.